Human height actually depends upon two factors that are Genetics and as well as nutrition and environment. The research said that Human height 90% depends on genetics and 10% is based on nutrition and Environment. Gigantism and Dwarfism are two disorders, Which attacks our body when our body doesn't produce or produce a maximum of growth hormones. Gigantism is a rare disorder in which your body produces too much of the growth hormone in children who are still growing. Usually caused by a non-cancerous tumour on the hormone-producing gland at the base of your brain (pituitary gland). This results in great height along with increased muscle and organ development. Despite their size, these people are usually weak. Dwarfism is a rare condition where your body does not produce enough growth hormone causing a person to be no more than 4 feet 11 inches tall. 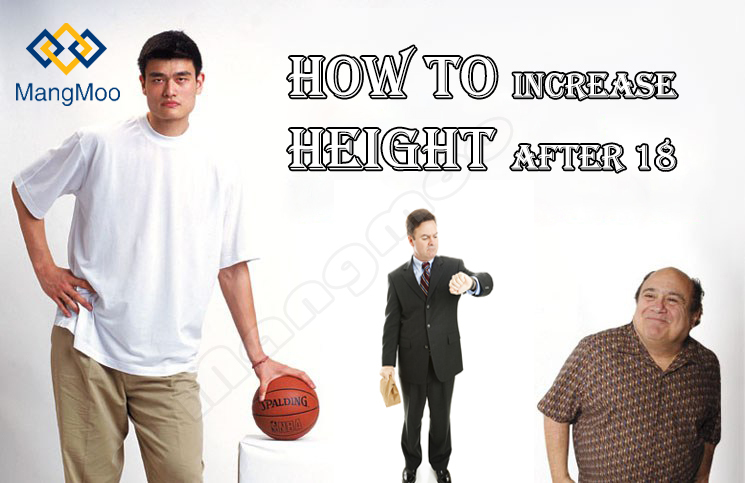 Now let's talk about some of the best natural and easy ways to Increase height by few inches tall. Hanging is the included in one of the most efficient methods of increasing height, Hanging 5 to 7 minutes in a day is enough also it depends upon you that how much you have the stamina to hang for a long time. It will elongate your spin. You just need a bar for hanging which is capable of holding your body weight. Hanging exercise is also beneficial in increasing biceps strength apart from increasing the grip strength. It also strengthens the stabilizing muscles of the upper back. It is clear that Good food makes a good life, We should need to eat rich in protein foods like Beans, white meat poultry, Eggs, Almonds, chicken breast and several more rich in protein foods. take the right amount of calcium which we got from Milk, Butter, Apple, Leafy green vegetables, Eggs etc. You should need to eat at the same time. Don't eat Junk foods because they are less rich in minerals When junk food is consumed very often, the excess fat, simple carbohydrates, and processed sugar found in junk food contribute to an increased risk of obesity, cardiovascular disease, and many other chronic health conditions. Do you know that when we are sleeping our body is still performing their functions even (HGH) grow more during sleep, Research said that adults should need to take a sleep of 8 to 10 hours daily, and 10 to 12 for young and children. Remember that uses of alcohols also have the worst effect on height, Smokers and Secondhand Inhale smokers are usually smaller as compared to normal body height. Smoking has doesn't any effect on Pituitary gland but it increases the level of carbon- monoxide in blood and thus body stops growing. We all know that we got vitamin d from Sun, Sun is the major and free source of vitamin D, which plays a vital role in our body. vitamin D helps in developing muscles and Bones and also it helps in increasing help. The best time for walking is morning time.